Spirit has been downloading my most important messages for the world over these past 2 years. 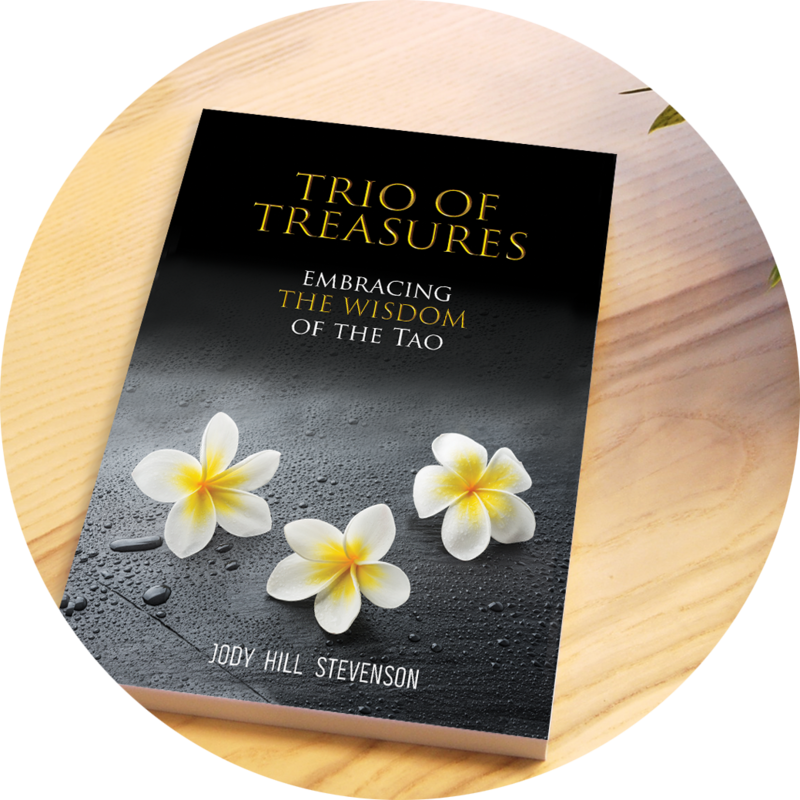 The first book is Trio Of Treasures: Embracing the Wisdom of the Tao and I could not be more excited to share it. The Destiny Journal is a simple and easy to follow 9-minute~90-Day Challenge that will help you manifest your dreams and goals. These will become the most valuable 9 minutes of your day! Join us for our next event! Check the schedule for our latest workshop, seminar or Sunday talk. Jody is a nationally known speaker captivating audiences with her warmth, wisdom, and joy and empowering them to love their lives and live in the Tao. “Be Here Tao” is her powerful video and blog series based on her new book Trio of Treasures: Embracing the Wisdom of the Tao, inspired by the Tao Te Ching. Tune in and post your comments and questions. Book Jody for a Tao talk Today! Does something in your life feel out of sync and you can’t quite define it? Join our email list to take our quiz and receive the 5 Focus Spotlights Evaluation to guide your path.